Give credit to David Crane. Unlike the pundits and would-be tax reformers who moan about California state government's boom-and-bust revenues, Crane, who was economic advisor to former Gov. Schwarzenegger, is brave enough to state the obvious: Prop 13 is the original sin. Why are state revenues volatile? Because over the last 35 years California voters and policymakers cut the taxes that vary least with economic conditions, leaving governments increasingly dependent on the ones that vary the most. The first and biggest whack, as Crane notes, was the 1978 Jarvis-Gann Prop 13, which cut and capped the property tax, a revenue source that declines only in the most dire economic moments, such as the Great Depression and the bursting of the housing bubble in the Great Recession. It was followed by the 1982 initiative eliminating state gift and inheritance tax and Schwarzenegger's 2003 cut in the vehicle license fee (which, perhaps not surprisingly, Crane fails to mention). Even more than the property tax, these were stable revenue sources, death and driving being inevitable features of the California scene. But when they cut taxes, Californians didn't mean they wanted fewer public services. They have filled the void, partly by raising sales tax rates (since Prop 13 the combined uniform state-local rate has gone from 6% to 7.5% plus locally approved add-on levies for transportation or general city services); and partly from the rising yield of the personal income tax, which delivered more and more dollars because of the enormous shift of income to the wealthy that has taken place over the past several decades. Now, with the higher rates on the rich enacted last year in Prop 30, the yield will be even greater. But it will also be episodic. Income tax collections swing with capital gains in the markets, and taxable sales swing with the economy (they fell 18 percent from 2007 to 2010). As Crane argues, the right cure for this volatility would also be good for the state's economy. I think he exaggerates the risk that California's current taxes will cause the rich to flee, but he's right that our current tax balance—high taxes on work and investment, low or no taxes on property and oil—is "crazy." From an economic perspective, property taxes are, in the words of conservative economist Milton Friedman, "the least bad tax there is." If you tax land, you don't have to worry that you will cause people to produce less of it. If California imposes an oil severance tax, as every other oil-producing jurisdiction in the world does, you don't have to worry about the oil disappearing or oil prices rising, because oil prices are set by a global market, in which California tax policy is but a blip. Shifting taxes toward land, oil, and carbon and reducing them on work and investment would strengthen the economy while providing a more stable base for public services. Crane cautions that, before changing Prop 13, "governments would first need to reduce pension and health-care liabilities." But here he has it backward. As we show in California Crackup, it was Prop 13 and the governing system it created that made the out-sized pay and pensions of local government workers possible and perhaps inevitable. Getting rid of them is the necessary condition for creating a local taxpayer counterweight to public employee power in city and county politics. It’s been an item of faith among would-be pension reformers that switching public employees from defined benefit pension plans to defined contribution plans like 401(k)s would save taxpayers money. When I’ve suggested here that the savings may never materialize, the faithful have scoffed. So here’s one, early data point: In its new budget, San Diego is projecting a $40 million increase in pension costs for the coming year, much of it due to the switch from defined benefit plans approved by voters in June 2012 in the Prop. B reform plan. This is not a surprise. It was predicted by San Diego’s Independent Budget Analyst. A switch to defined contribution pensions doesn’t, by itself, save money. Because of higher fees charged by financial institutions and the lower returns realized by individual workers in self-directed retirement accounts, it takes higher levels of contributions to achieve a given level of retirement savings in 401(k) plans. For the switch to save taxpayer dollars, government employers must either reduce their workers’ retirement saving or cut their wages. In San Diego, Prop B will yield lower costs for taxpayers only by holding total city worker pay—wages plus benefits plus contributions for retirement plans—below the levels anticipated before passage of the measure. In particular, this will require learning to say no to police and firefighters. 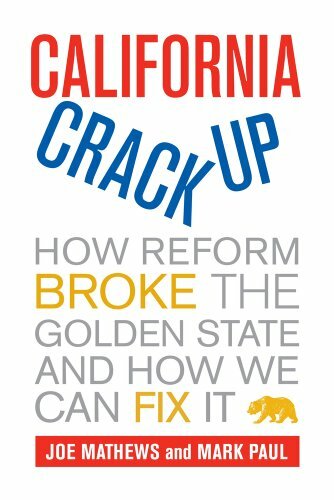 If you’re one of those people who likes to blame California’s public workers for the state’s problems, Stephen Levy of the Center for the Continuing Study of the California Economy has good news for you. California’s public workforce, which has long ranked among the smallest in the nation relative to population, shrank even further from 2007 to 2011. The ratio of California state and local employees per 10,000 residents fell by 7 percent in that period; the ratio of K-12 school employers fell by 11 percent. These numbers are Census Bureau estimates for March 2011. Given the continuing budget cuts and workforce reductions by the state government, cities, and school districts over the last 18 months, the current numbers are far lower. Which means that if you are one of those people who’d like the police to investigate and capture car thieves or who’d like the fire truck to arrive quickly in an emergency or who’d like your child’s school to have a library where she can research her homework or a counselor to guide her through applying to college—well, chances are that you are out of luck. Over at Zócalo Public Square, Rick Cole, city manager of Ventura and one of the smartest people in California local government, offers a calming counterpoint to media worries about open government. The state budget decision to suspend some parts of the open meeting law won’t lead to city council meetings in basement rathskellers and other secret nasties, he writes—or at least not to any more of them than we’d see (or not see) even when the law’s in full effect. Most reporters won’t agree, but Cole writes about the issue with more nuance and complexity than you’ll see from many journalists, who rarely acknowledge that rules governing openness in government come with tradeoffs. What Cole doesn’t convey is the pure nuttiness behind the whole discussion. If open government has “become part of California’s civic DNA,” why must we suspend the law that guarantees what everyone says we want?